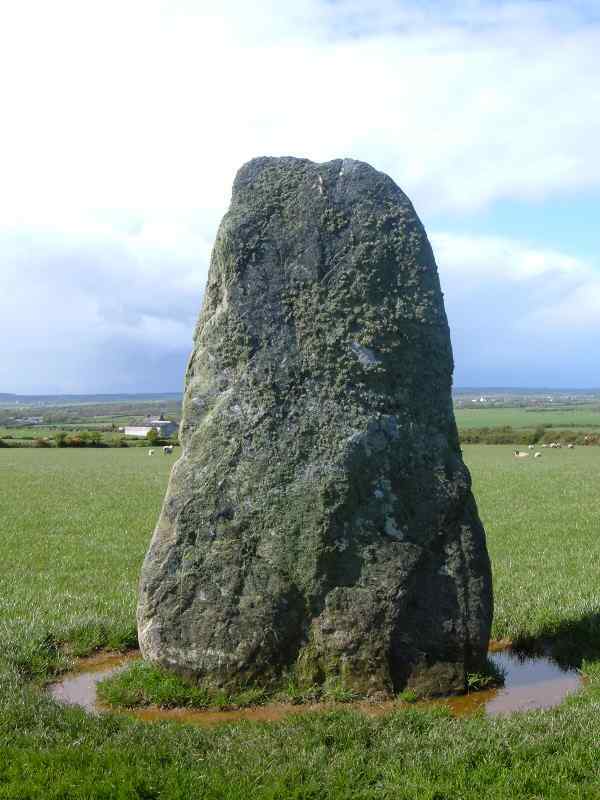 The Soar Standing Stone on Anglesey - an ancient monument on the island of Anglesey. 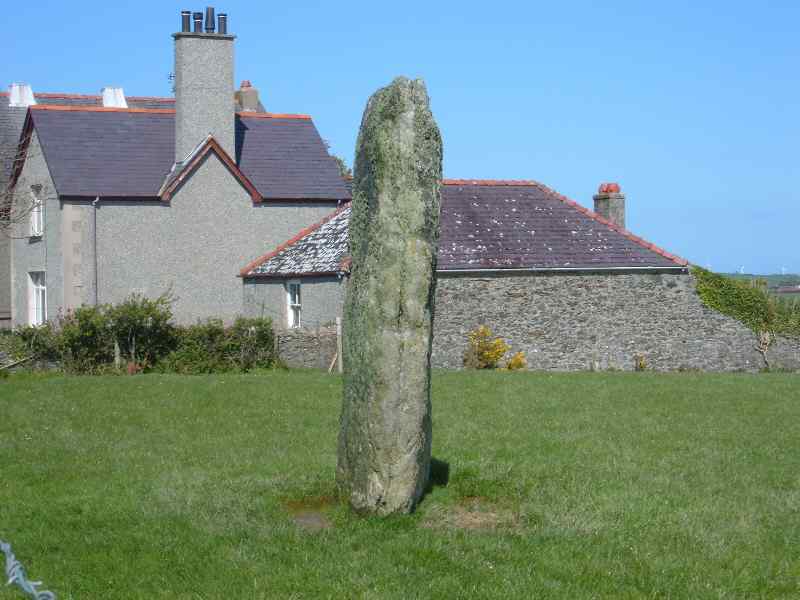 Soar Standing Stone, Llanfaethlu SH 319863. Named the Soar Standing Stone after the chapel situated next to the field it occupies. 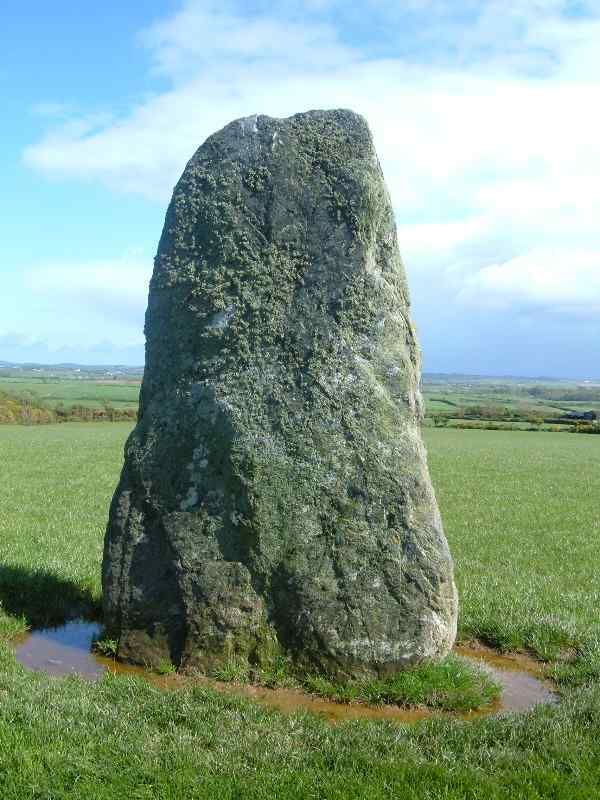 This impressive large stone is situated on the A5025. Travelling from Valley on Anglesey in the direction of Llanfaethlu you approach a chapel on your right next to a pub named the Black Lion. The stone is easily visible from the main road.